The spotlight is on the growth of the association and a clear focus moving forwards. The final release of Dame Judith Hackitt's Independent Review of Building Regulations and Fire Safety after the Grenfell tragedy has been published. How best to understand the challenges and meet the outcomes of the Hackitt Review are here . The key advantage to conducting the survey is to create an understanding of wellbeing based on direct responses from your University staff. Areas affecting them for example: financial wellbeing, mental health, nutrition, workplace stressors, engagement etc. and also to see whether the interventions currently in place are reaching out to staff effectively. Here is a short presentation about ‘ Britain’s Healthiest Workplace’ and here is a link to the website which provides a full overview. The survey runs till the end of July. It is completely free and voluntary. It is commissioned by Vitality but not part of their medical insurance package – you do not get involved in any marketing or approaches. RAND Europe administers the survey – who are a not for profit research institute. If you are interested but not sure if you can fit into this window period they will be running a further survey period later in the year. However running it later in the year may mean you are not be eligible for the Awards. Also here is a copy of an anonymous organisational report to show this more clearly. Staff also receive their own individual report instantly clearly showing areas of their health and lifestyles that they may wish to consider more. In this sense the Vitality Age they receive becomes a health intervention in itself, often prompting staff to discuss with their colleagues informally and to take individual or collective action. A potential failure of advanced socket testers which could create a hazardous situation. The new International Standard on occupation health and safety management has been written. The ISO 45001 now replaces OHSAS 18001. 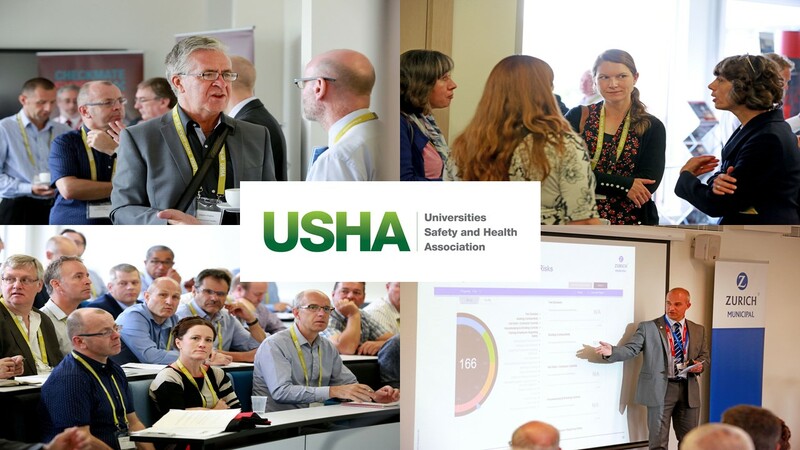 The report highlights USHAs growing role and influence in the sector. Its work with partner groups looking at mental health, security, employers and unions at a national level. Fire Group Chair Margaret Glendenning (University of Cambridge) reports on this year’s Fire Seminar in Cardiff. The 2017 seminar theme was ‘Statutory Compliance’ and aimed to raise awareness on keys areas of statutory compliance providing practical solutions and ideas to those managing complex estates with a myriad of statutory compliance obligations.